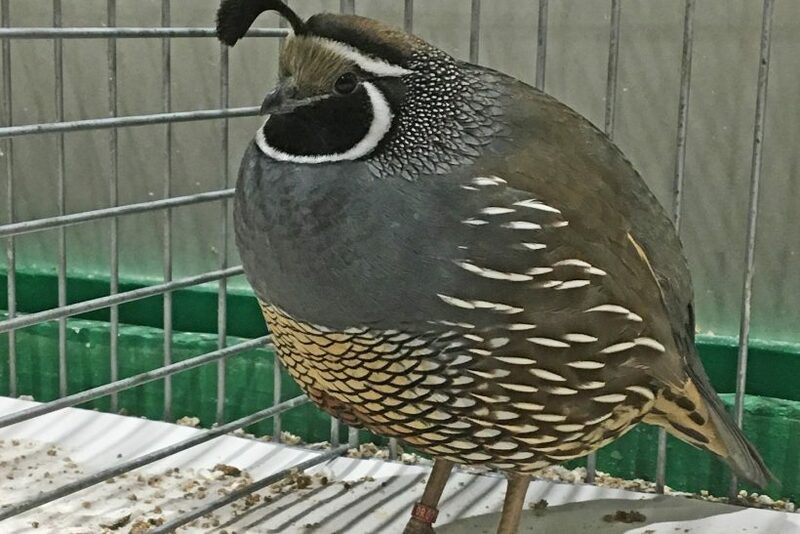 DESPITE its exotic looks, the Californian quail (Callipepla californica) is an easily managed species and a worthy contender for large garden aviaries. This is a very beautiful and handsome species. It is a round ball of a bird with a lovely grey breast, fine scaling on the underparts, and a quirky, distinct head plume. The plume is made of six feathers, which droop forward: black in males and brown in females. 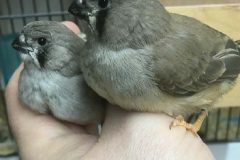 Immature birds and females are mainly greyish brown with a light-coloured belly, whereas the males have a dark brown cap and a black face with a brown back, a light brown belly and a grey-blue chest. In the wild, the California quail is found along the western edge of North America, from Oregon to north-western Mexico. It reaches 25cm (10in) in length but, as is common with quail, appears larger due to its stocky build. While distinctive in looks, the species has a close relative which shares some of its characteristics: the Gambel’s quail (C. gambelii). This species has a more southerly distribution, a longer crest (6.4cm/21/2in), a brighter head and a scalier appearance. California quails are birds for spacious, outdoor aviaries. Despite their relatively small size, they are extremely active and also like to perch well off the ground at night. A warm, dry shelter is a must to ensure good health. 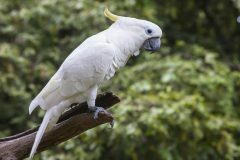 Wild birds dwell in some quite hostile habitats, but aviary subjects are intolerant of cold, damp conditions, which cause their wild counterparts to move to higher, drier areas. Ideally, the aviary should be heavily planted with tall clumps of grass and shrubs. This will serve to calm nervous specimens, and insects attracted to the vegetation will keep them busy foraging for much of the day. As with other quail, Californians can be prone to night fright, so it is a good idea to screen the outside of the wire near to the birds’ roosting area. Evergreen shrubs or bamboo screens are good for the purpose. The upward flight when startled also means that a plastic netting roof may be a better option than wire, if it can be fitted securely to prevent access to vermin or predators. California quails will usually get along with finches, softbills and small parrots, although mated pairs will attack other quails during the breeding season, so one pair of quail to the aviary is the best approach. Most quail keepers use a commercial quail or pheasant feed for their birds, but some prefer a mix of seeds sold for smaller finches. Chopped kale, dandelion and other greens should be offered each day, and grit must always be available. Seeding grass heads, if they can be gathered, will be enjoyed. In the wild, Insects are a major food source, so live crickets, mealworms and waxworms will be appreciated as a regular part of the diet. Plants within the aviary will encourage insects to enter the birds’ environment. Like many other quail in aviculture, Californias are relatively easy to reproduce. Artificial incubation is a common approach for serious breeders, but with this species, some pairs can be encouraged to raise young if the surroundings are right. An aviary scheme that allows for nesting below shrubs or among tall grass clumps will be a good breeding catalyst. A population can quickly increase. Hens in peak condition may produce clutches of up to 20 eggs, with a second clutch likely if the first is pulled for artificial incubation. Chicks hatch after an incubation period of 23 days, and are usually well cared for by the parents. Commercial chick or pheasant rearing mixes can form the staple diet, but chopped greens, insects, hard-boiled egg and egg food are also essential if the chicks are to thrive. Chris Green is a birdkeeper at Cotswold Wildlife Park, as well as an exhibitor of finches and canaries.